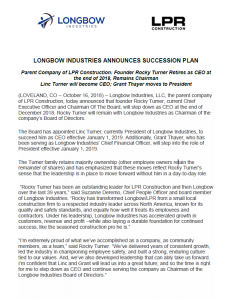 (LOVELAND, CO — October 16, 2018) — Longbow Industries, LLC, the parent company of LPR Construction, today announced that founder Rocky Turner, current Chief Executive Officer and Chairman Of The Board, will step down as CEO at the end of December 2018. Rocky Turner will remain with Longbow Industries as Chairman of the company’s Board of Directors. The Board has appointed Linc Turner, currently President of Longbow Industries, to succeed him as CEO effective January 1, 2019. Additionally, Grant Thayer, who has been serving as Longbow Industries’ Chief Financial Officer, will step into the role of President effective January 1, 2019. 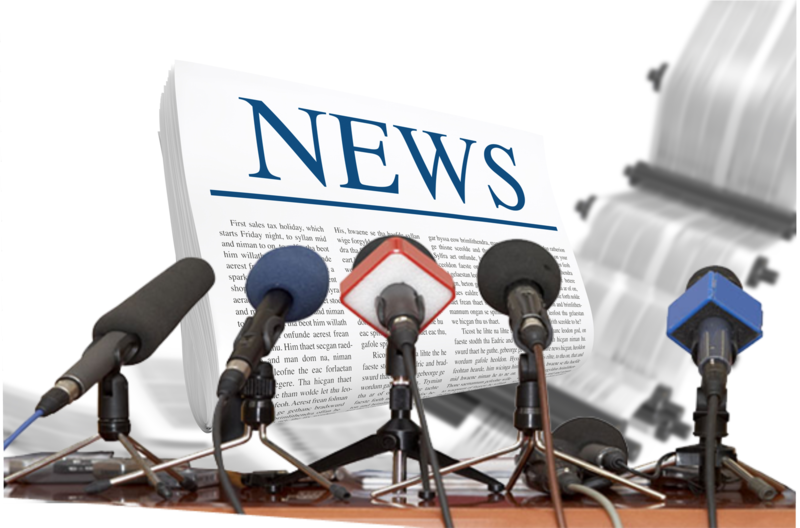 The Turner family retains majority ownership (other employee owners retain the remainder of shares) and has emphasized that these moves reflect Rocky Turner’s sense that the leadership is in place to move forward without him in a day-to-day role. Linc Turner, 40, will continue in his current role as President until the end of the year as both he and Rocky Turner work closely to successfully complete the transition. In addition to serving as President, Thayer, 43, will continue in his role as CFO of Longbow Industries until a new chief financial officer is named.